In this tutorial, we look at ways to prevent malware attacks on your devices using Antispyware, Antivirus, and Firewall Software. This tutorial is part of our tutorial series on WordPress Security. In this tutorial, we look at ways to prevent malware attacks on your devices using Antispyware, Antivirus, and Firewall Software. If you plan to do anything online, then you must accept the fact that Malware is not going to go away, and that new forms of malware are simply going to keep surfacing on a regular basis. Secure your computer against viruses, spyware, and malware. Making sure that your computer is free of spyware, malware, and virus infections is vitally important to your online security. There’s no point securing your WordPress site if a keylogger is installed on your computer and can send your password and login details to hackers. Anti-spyware programs combat spyware by providing real-time protection, scanning, and removal of any spyware software found on your computer. 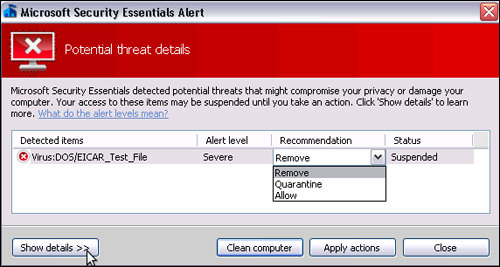 Antivirus software performs a similar function, but it looks instead for viruses, worms, and trojans, mostly sent to you via email. 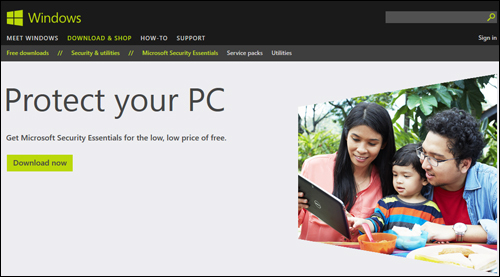 Tip: Make sure that any antispyware programs you install on your computer are authentic. Unfortunately, some programs marketed as free spyware detectors will actually install spyware on your computer. It’s best to stick with antispyware software from reputable and trusted manufacturers. We recommend investing in a reliable commercial antispyware/antivirus program for maximum protection against malware and to prevent and eliminate spyware and viruses from infecting your computer system. 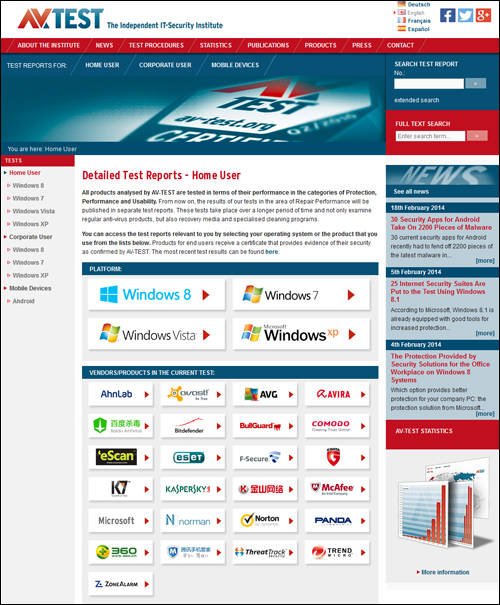 Ad-Aware is one of the world’s most downloaded security software programs. It immediately detects malware before it harms your PC, scans your download files before they have a chance to inflict damage, and automatically protects your computer from the latest threats and the newest malware being distributed through bad URLs and malicious websites. 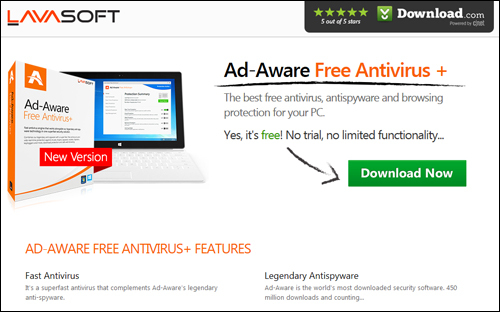 Ad-Aware is available in different versions (see below). Spybot Search & Destroy is a free and constantly updated antispyware utility that targets adware, malicious code and other threats. Spybot isn’t a replacement for a full antivirus program, but it can detect and remove a multitude of adware files and modules from your computer and remove some other threats. 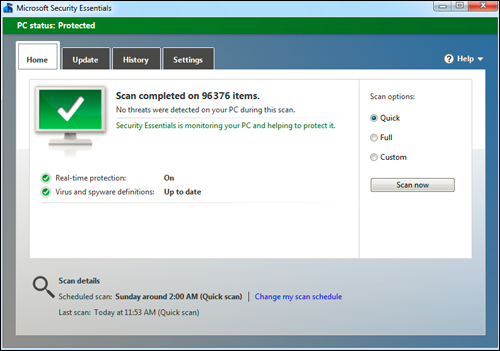 You can use the adware and malware scanner to regularly check your system. 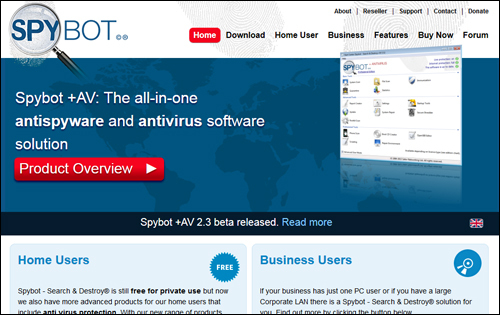 Spybot has been around for years, and so offers users plenty of resources like tutorials, FAQs, how-tos, forums, etc. Malwarebytes Anti-Malware software uses industry-leading technology to detect and remove all traces of malware, including worms, Trojans, rootkits, rogues, dialers, spyware, and more. There is also a Malwarebytes Anti-Malware PRO version that provides constant protection and helps to automatically prevent malware from reinfecting your PC. Avast is one of the most downloaded and highly recommended Antivirus programs available. It’s a complete security tool that protects you from all threats – Internet, email, local files, peer-to-peer (P2P) connections, instant messages, and more. Avast also has a “heuristics engine” that can detect previously unknown viruses and other malware. 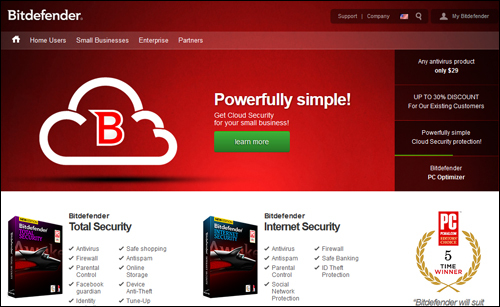 Bitdefender provides a range of security software solutions that are easy to set up and configure. The Bitdefender Antivirus Free Edition program uses very little system resources, so it won’t slow down your computer. It also provides constant virus protection (also called on-access or resident protection) for free, which makes it a viable alternative to paid solutions from companies that charge for their software and for yearly access to updates (e.g. McAfee, Norton, etc…). AntiVirus Free from AVG provides a comprehensive antivirus and antispyware solution that also includes an email scanner, link scanner, scheduled scanning options, automatic updates, and more. 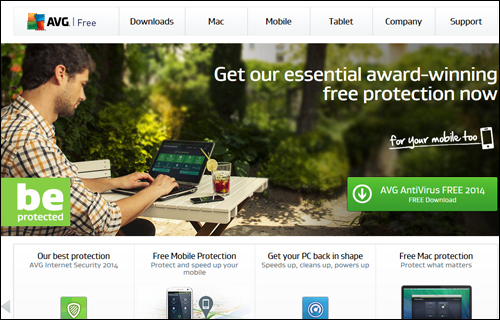 AVG is considered by many to be one of the best free antivirus programs available today. 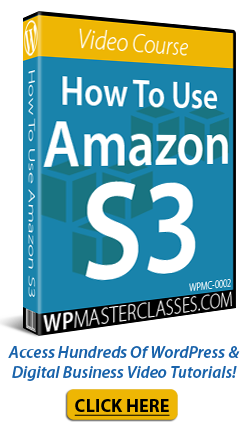 It is a set-and-forget software program that is frequently updated and includes many premium features. 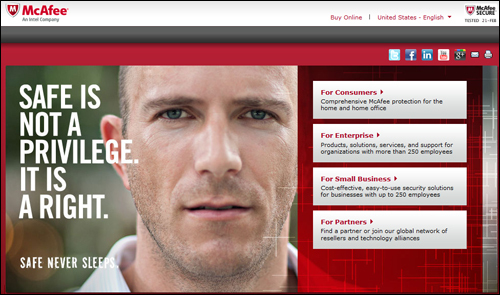 McAfee provides comprehensive protection for home and office computers, and cost-effective security solutions for businesses. 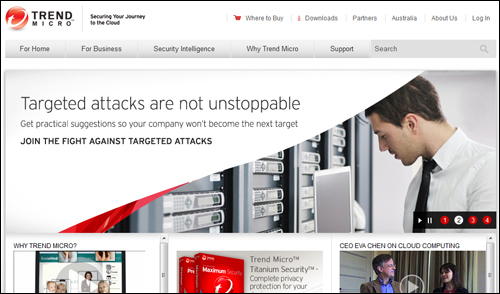 Trend Micro Antivirus software provides protection against malware attacks and offers accurate phishing and spam protection, plus and a firewall booster that can block exploit attacks. As antivirus programs are regularly updated, AV-TEST updates the latest test results every few months. 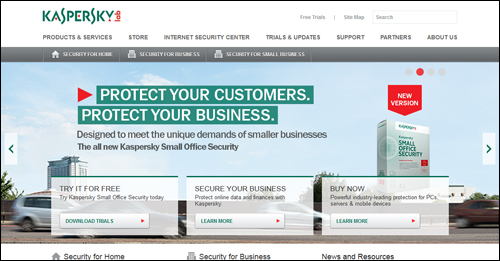 Firewalls are an important part of your overall online security strategy. 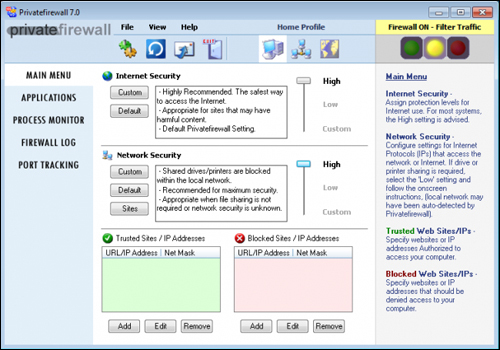 A Firewall analyzes traffic data (known as ‘packets’) before it is allowed into your computer and makes sure that it is not malware. A firewall is like a security guard standing outside a busy nightclub. Its main job is to check everyone coming in while also keeping any undesirables out. Below we have listed a number of software-based firewall programs you may want to look into for protecting your computer from external attacks. 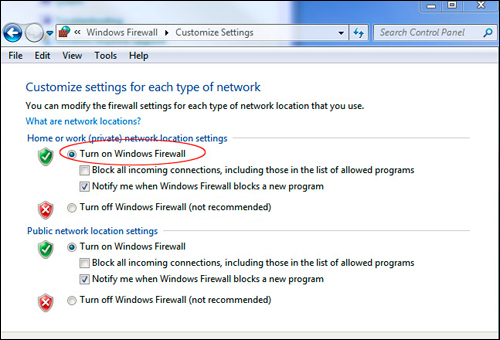 Most simple two-way firewalls ask you to allow or deny Internet access to unknown programs. Many automatically allow trustworthy apps and remember your decisions to become silent over time. 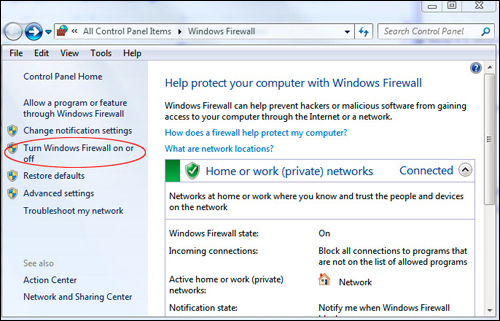 Microsoft Windows comes with a built-in firewall program. We recommend choosing an alternative firewall solution, however, as these tend to offer easier control of outbound protection and additional features. If you plan to install a third-party firewall solution, make sure to disable the Microsoft Firewall first, as having two firewalls running simultaneously will create problems. 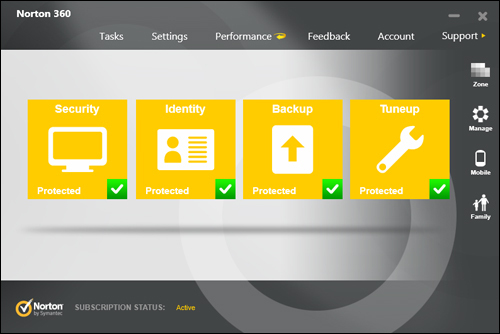 We covered the Norton security products earlier. 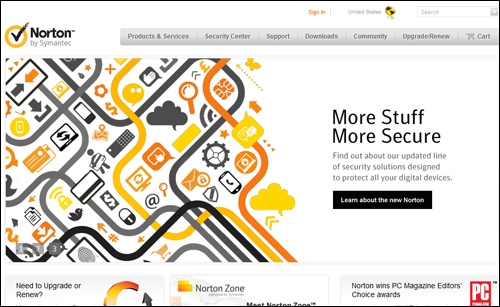 As well as antivirus protection, Norton products also provide a Firewall program. Comodo is a robust firewall software solution that consistently scores highly in security tests and security expert reviews. Comodo includes a “memory firewall” (protects against buffer overflow attacks) and a “sandbox” component that limits unknown applications and new software installations from affecting your computer. If an unknown application attempts to enter your computer via the firewall, Comodo will deny the application and ask you what to do. 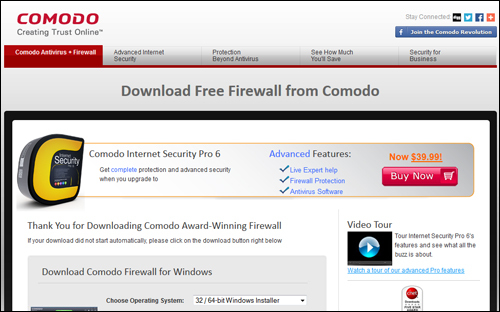 Comodo’s firewall software application for Windows is available as a free download. 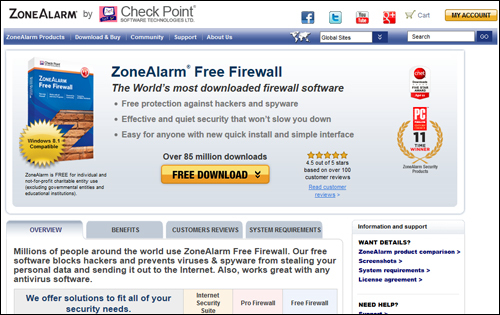 ZoneAlarm is a simple and user-friendly firewall application. ZoneAlarm is currently installed on over 80 million computers and offers advanced firewall protection that monitors programs for suspicious behavior spotting and stopping new attacks that bypass traditional anti-virus protection. ZoneAlarm offers a free download of the software with certain conditions (e.g. individual and not-for-profit use). 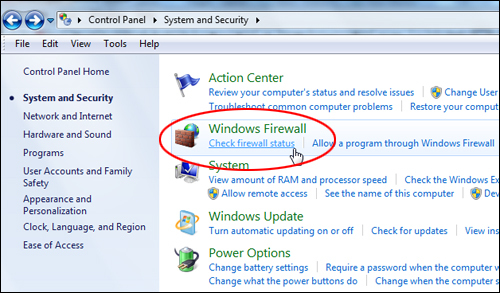 Private Firewall is a feature-packed firewall solution made available as unrestricted freeware. It provides a multi-layer security solution that includes behaviour blocking technology, standard firewall protection, virus, spyware, and malware protection, process and application security, registry protection and more. 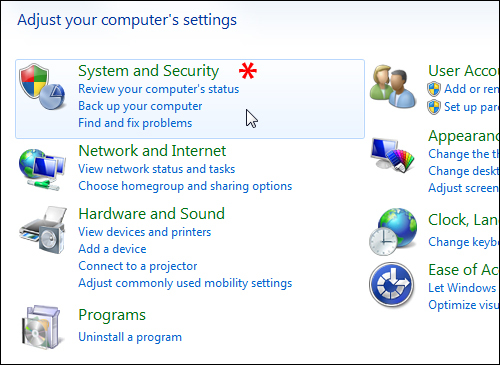 Additionally, there are many configurable settings, allowing you to set different security levels for Internet access and computer network security (ie. 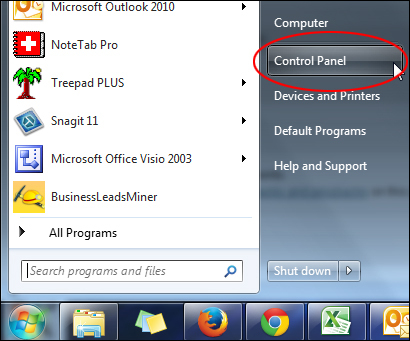 file and printer sharing) and configure different profiles (e.g. Home, Office, and Remote). Private Firewall is a very effective firewall program, but it is aimed primarily at slightly more advanced users. In addition to the products listed above, we recommend that you search online for user and technology reviews and do your own thorough research and due diligence before investing in a security software program. As well as enabling firewalls on your computer and other devices in your network, you can also add a firewall to your WordPress site, using plugins. Now that we’ve looked at ways to prevent malware attacks on your devices, the next step is to review useful software security tips.